Who Wins? 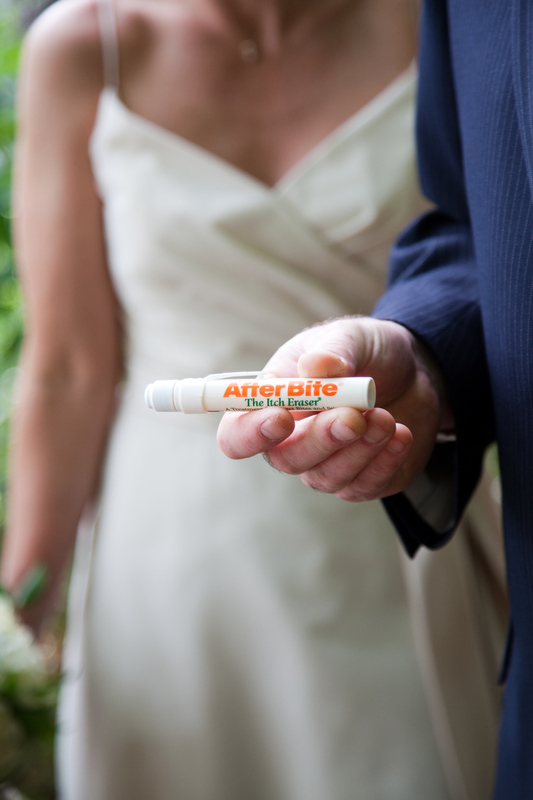 Well, sometimes the black flies… but if you are coming up for an elopement and you want to head into some more wooded scenic spots, you may want to put some after bite in your pocked like Groom Dave did on 6/1/10. I can also provide you with some organic all natural bug oil for the bride to put around her ankles or on her wrists, dabbing like perfume. It actually smells really nice and since it’s all natural, I wear it all the time in the summer. There are plenty of places to go for great photos that are relatively bug free, and if we get a good breeze on any given day, it’s not much of an issue. Just be warned though, I can’t say you won’t get a nibble from those little black flies.